Sewing like a professional is a goal that many want to achieve, but there is always something that is missing. Whenever you think you have reached perfection in sewing, there is always something that you miss out on. This guide is aimed at eliminating all those issues that prevent you from reaching that perfection in a sewing machine. Your fabric must look perfectly neat and crisp. Unless you are using it that has come out of the bolt just a little while ago, make it a ritual to press it before cutting out any pattern. Thus, you will have regular pieces of pattern instead of unclean designs. Press along the seams. Use steam to iron all the fabric and set the temperature to the maximum for that particular fabric. After you perform each step, you should press it. Do not skip any step. This will ensure you have the perfect shape and size. In fact, if you leave the edges un-ironed, it looks really unclean and very unprofessional. 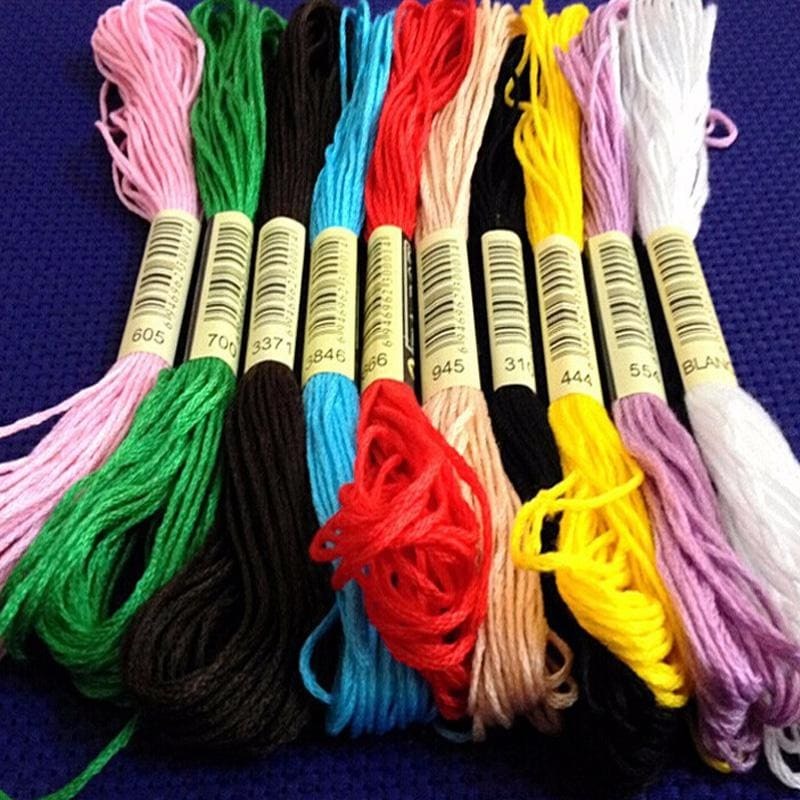 Thread color is one thing that will be noticed by everyone at a glance. Therefore, try to keep all the threads of the same color as the fabric. If you cannot find a match, try to look for an approximate match at least. However, if you do want to create a contrasting effect or thread design in which you deliberately want the thread to get noticed, then go for it. You will get a machine tension set to something that is the most appropriate for most types of sewing. However, with time, this may change, and you need to readjust the tension after regular intervals. You need to read your sewing machine manual to be sure of that. Now, an important question that stands here is how to know if the tension has eased off? Well, a simple and straight answer would be that if the thread is so tight that it literally puckers the cloth on which you are stitching then the tension is too much. However, if the seam is very loose and is creating loopy stitches, it means that the tension of the thread is too loose for the machine. Also, in case you don’t have the access to the manual of the machine, you can just ask someone to help you out. This is a complete show stealer. Top stitching makes the garments look much more professional. However, you need to know that it should be 1/8” from the edge else you might risk ruining the look and feel of it. It takes a lot of practice and patience to make a clean stitch. However, if you pay attention to it, you can do it well in the first time itself. For that, you need to go slow for the first time. If you are facing a lot of trouble in maintaining the straight line, you can use a gauge and sew against it. In just some time, you will get used to it and won’t make any more mistakes. Laziness might come up anytime, and we do not disagree on that. Therefore, even if the instructions say you to cut the fabric, you skip it thinking how big a difference it can make. Well, it can make a very big difference and can lead to a bulky and big bad looking pattern. A very important reason why you want to sew your own clothes is so that you fit in them properly. If you can buy things that you will get in the market and can sew it so that you get a perfect fit, you should go for it. What you should remember if you are attempting this is that most patterns that you can buy at the store are made for average people. However, the better fit you get for your body, the more professional it is going to look. Therefore, when sewing, keep checking in between. Now that you saw some tips that will make you a pro at sewing, it is time to brush up some of the technicalities related to a sewing machine. If you are well acquainted with your bobbins, it will make things much easier for you. Whether you need to finish off that difficult project, or you need to buy things online, or simply have a chat with the fellow sewers, these knowledge are going to come handy to you. Go machine-y: We acknowledge hand stitching can be easy and convenient for you. but, once you are into a sewing via a machine, you are just going to love it. Plus, after that, you will need to invest in the right places. Going back to the basics: This may seem a little old school but your basics should always be clear. For that, you need to be well acquainted with the user manual. Go through it very carefully. It will tell you my only what you should do but also what all you must avoid. It contains steps to the basic techniques of sewing. READ Why Test Embroidery Designs? Also, in case you don’t read the manual, you won’t know how you will damage the sewing machine. Getting involved: There are various courses and clubs that allow people of same tastes to meet and interact. This way you never know when you might start a new thing of your own. Goals setting :when having learnt what all you need to and have worked on various projects, it becomes important that you move on to more vital things. This way you can become a pro at sewing. Of course, achieving the perfect goal is not that easy but with true devotion and dedication along with continuous practice, you can think about reaching there. Sewing like a pro is a dream for every sewing machine owner, but as we know nobody is going to achieve that, we are here to help everyone out. It may take some time to reach there, but the results are worth it.